~long wave diathermy is based on capacitor field method. ~it can work in heavy voltage fluctuation. 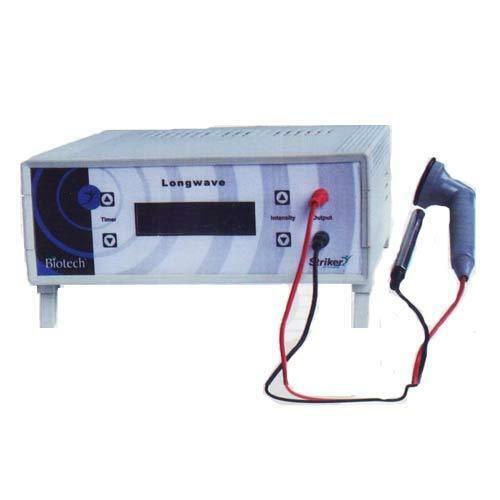 ~long wave can be used as an alternative for shortwave diathermy applications. ~it is portable and light weight. ~Longwave is much better and superior modality for relieving pain , compared to Shortwave (SWD) and Ultrasound. ~Few points about of Longwave which makes it superior to SWD and Ultrasound Therapy : Longwave works at 1Mhz , where as SWD works at 27.12Mhz, since Longwave has less frequency , there will be minimal loss of energy. ~SWD produces heat due to molecular friction, which causes tissue destruction. Longwave has power output of just 25 watts, where as SWD generates 250 to 1000 watts of power. Unlike SWD, Longwave will not produce any interference with other equipments. ~Longwave can be used, with patients having metal implants./ Heat generated due to Longwave, will remain for 45mins. Longwave has deep penetration of 40cm. ~Unlike Ultrasound, Longwave will not have any irritation to boney parts. Most of the energy remains in high density tissue like ligaments tendons. Highly portable approx 4 kgs. Clinical results prove that Longwave is much better modality than Shortwave and Ultrasound. *The principle behind this equipment is based on the capacitor field method. 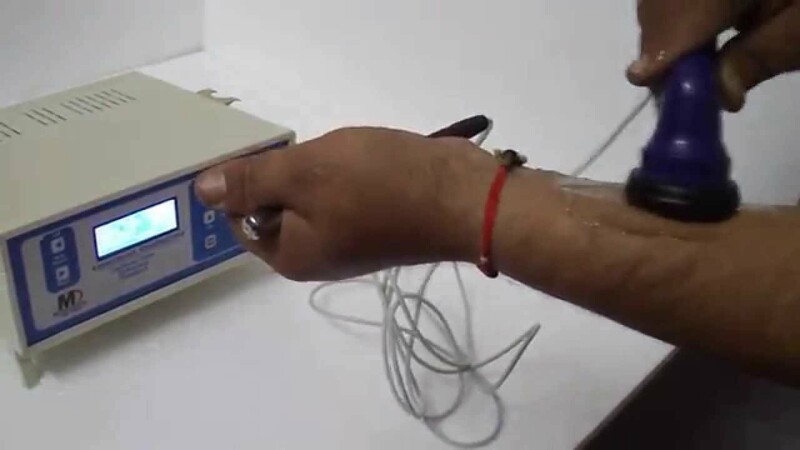 It emits electromagnetic energy at specific frequencies ranging from 500 KHz to 10 MHz Thus, this has become an alternative for Shortwave Diathermy Unit. The frequency and spectrum select carefully, interferential therapy can relive pain, reduce swelling, activate cell function and promote healing, therefore restoring function. Because of its versatility and effectiveness, Interferential is often choice for the treatment of physical condition such as Rheumatism, Arthritis, Muscle Strains, Sports Injuries, Neuralgia, Neuritis, Circulation Disorder and Incontinence. -Dimensions ( L x W x H) 13? x 12? x 3? It is probably preferable to refer to this particular form of ultrasound therapy as kilohertz ultrasound as a way to distinguish it from the more normal MHz Megahertz ultrasound therapy. The effective penetration depth is also related long wave diathermy frequency. It uses a high-frequency electric current to stimulate heat generation within body tissues. Mechanical energy beyond this range is not audible, though the nature of the energy does not change — it is long wave diathermy a mechanical pressure wave. It’s important to find the correct treatment plan to manage this…. Heat is generated by the vibration long wave diathermy the tissue.